The 8th of March did not go unnoticed in Pakistan, on account of the painful howl unleashed by mardana Pakistan. “Is this how you fight for women rights?” men demanded to know. We, the Pakistani males, are an exceptional species. Men know everything there is to know about women’s issues. They are always willing to instruct women on what they should fight for, and how they should fight for. This is exceptional in every way. Imagine the Indian forces showing up to an Azadi March and saying, “No, no, this is not how you fight for Kashmiri rights! Let us tell you how to do that properly!”. It’s a free country, boys. I suppose we can’t physically stop you from logging onto Facebook, and posting angry comments; and uploading babyish memes on sarcastic pages, pretending to be funny. But do you feel like you’re entitled to be heard? More importantly, do you feel women are obligated to take your advice on where and how they should protest? Do you feel any self-respecting woman is eagerly awaiting your male opinion on what’s “actually important”, and what isn’t? Aurat March was an incredible feat, and its profound significance can be determined by the acres and acres of male territory on social media that it set ablaze. I would’ve been worried had the march failed to stoke controversy. If people aren’t upset, it means you haven’t said anything new. If you haven’t made enemies, it means you haven’t bothered stepping down into the battlefield. 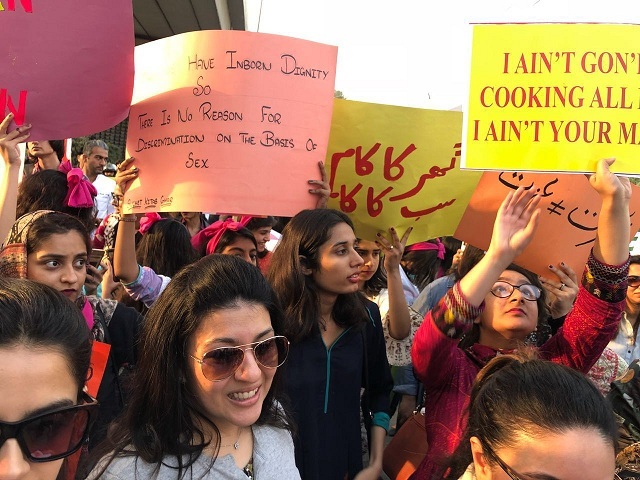 The most controversial element of the march was a protest poster saying, “Khud khana garam kar lo!” (“Re-heat the food yourself”). Pakistani boys really didn’t like this poster, and they made it abundantly clear on Facebook and Twitter. Their assumed expertise on women’s affairs led them to believe the poster was a rejection of men’s contribution to society. They were quick to point out that it’s men, alhamdulliah, who usually go out to buy naan from the tandoor and yogurt from the local grocery store. It’s men who stand in longer lines at the movie theater to watch Sallu bhai’s films. It’s men who usually replace car tires, and so on. That, of course, was unnecessary. The insinuation wasn’t that men don’t work in our society; but that women are bound by certain gender roles that aren’t very pleasant. It’s okay for men to step into the kitchen sometimes and re-heat their own naan. It’s okay for men to know the difference between zeera and saffron. It’s nice if women in the house do it for you, but they don’t have to do it; I’m sure many of them have other work to do. But that’s not how most men think, and I wouldn’t spare myself this criticism. A man’s ego being far more fragile than a woman’s glass bangle, felt immediately threatened by the poster. For fifteen minutes, women had taken the media spotlight to make a point that their issues, the limitations on their liberty, the roles they’re saddled with simply by the accident of their birth, are important to acknowledge. For fifteen minutes, nobody was acknowledging that men are the naan-getters and yoghurt-fetchers of this country, and that made Pakistani boys quite sad. While he-trolls lectured women online about the trivialness of the food re-heating issue which never killed anyone, someone actually died for serving cold food. A woman in Sargodha was murdered by her husband for serving him an un-heated meal. As the news spread through social media, Pakistani boys pretended not seeing the news on their Facebook walls. They calmly went on preaching women what their “real” problems are. Remember the nasty kerfuffle around the doctor and Shireen Obaid Chinoy’s sister? It was creepy and unethical, but was it harassment? As women opened their mouths to discuss this sensitive matter, the gates of social media flew open and a horde of testosterone-turned-flesh arrived to educate women on what harassment actually is. Nobody knows how to be a woman better than a Pakistani man, it seems. Women are allegedly second-best at everything, including the challenge of being women. I’ve written much about feminism and women’s rights, and I’ve learned ultimately that the best thing I can do for women’s rights is to listen to them. 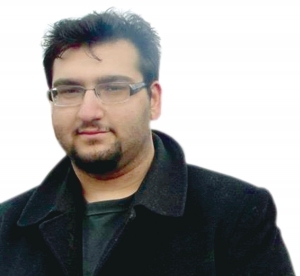 Kashmiris know best how to solve their own problems. Balochs know best how to solve Balochistan’s problems. And women, by being women, know what kind of issues need to be addressed for their sake. Women’s unjust treatment in society as the weaker gender is not an accident of nature. Where there’s oppression, there’s someone benefitting from that oppression. There’s a villain in this story, and that’s us: the men. Above picture should have been captioned as femi-nist bi-tches of pakland.